Without a doubt, you can increase traffic to your website and get massive results from using Facebook ads! Although it does require putting in the time and serious effort. 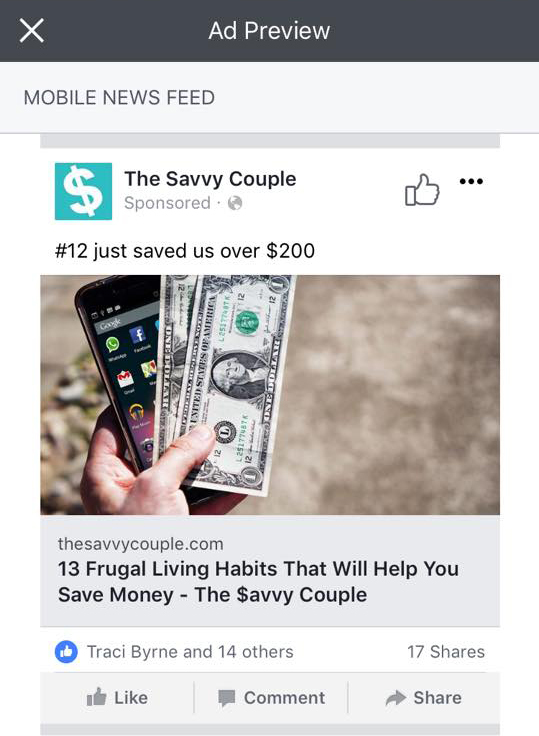 Hearing from clients and course students who have figured out how to fine-tune their Facebook ads to lower costs and maximize results is why I love what I do! Today’s success story comes from a couple named Kelan and Brittany Kline. Together, they run the blog The Savvy Couple. Kelan and Brittany started the site after deciding to improve their lifestyle! They wanted to share their tips, tricks, and savvy advice with others. The couple has a deep passion for personal finance, DIY projects, fitness, cooking, travel, and blogging. Last year, they signed up for my Flourish With Facebook Ads course to expand their site’s reach. 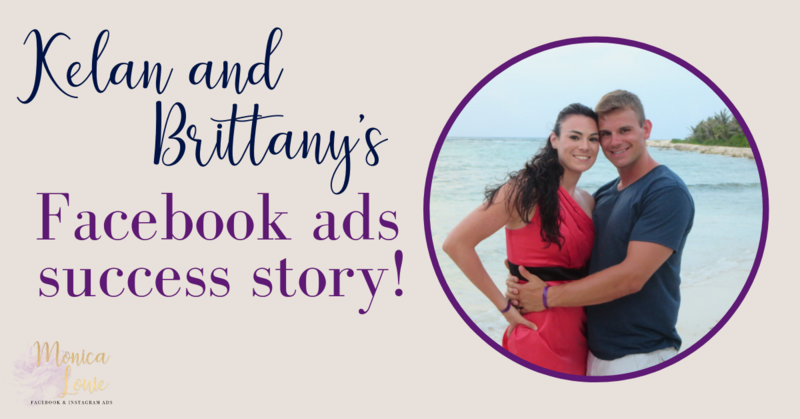 Within a few months, Kelan and Brittany were able to drive traffic to a popular article on their site with Facebook ad costs as low as $0.04 per click! Let’s dive in and see exactly how Kelan and Brittany were able to increase traffic to their website and achieve these amazing results! Kelan and Brittany started their personal finance and lifestyle blog in July 2016. Prior to that, Kelan says he jumped around from job to job. After working several jobs and never really feeling fulfilled, he admits to feeling fed up with trying to find happiness and contentment in his work. After starting The Savvy Couple, Kelan and Brittany realized that growing their blog could allow Kelan to quit his day job as an office manager and run the site full-time, which is exactly what they did. Now, Brittany continues to work as a 4th-grade teacher (a job she loves) and she also helps with the site while Kelan manages it full-time. Taking a leap of faith into the world of entrepreneurship was an easy decision for Kelan. Entrepreneurship was the only way he knew to regain control of his life and have more freedom. On their blog, Kelan expresses how he was born to be an entrepreneur and has a passion for helping others find their purpose in life. And they’re not done yet! They have many more ideas and plans for the future. Currently, they’re setting up an LLC for a digital marketing business to help local businesses create an online presence and drive sales. Kelan and Brittany wanted to learn about Facebook ads in order to grow the audience for their blog. They found success early on by driving traffic to blog posts with Pinterest, but they wanted to diversify their traffic sources. The couple signed up for Flourish with a goal to learn how to use Facebook ads to drive more traffic, increase page likes, and ultimately make more affiliate sales. Over the course of a few months, they’ve driven hundreds of thousands of page views to their site and earned gross revenue averaging $3,000 per month. Before enrolling in Flourish and learning about Facebook ads, Kelan and Brittany would simply click the “Boost” button on some of their Facebook posts. Then they crossed their fingers and hoped it would drive traffic to their site. Little did they know, boosting posts is not a great strategy because it usually focuses on encouraging Facebook engagement with your content rather than targeting users who are likely to click through to your website. When taking the course, they started creating traffic campaigns and testing out different ideas and strategies. They were able to create a traffic campaign that drives clicks to a popular post on their site for as low as $0.04 per click! The overall lifetime cost of their ad set was slightly higher at $0.05 per click, however results at $0.04 per click were achieved for several days while it was running. The best part is that Kelan and Brittany only spend $5/day on one ad campaign that they have running. That’s at least 125 clicks per day or almost 900 clicks per week for just $5 a day! Here’s a screenshot of their successful Facebook ad! After realizing that boosting posts can be a big waste of money because of the limited options for testing, Kelan and Brittany started creating Facebook ad campaigns in the Ads Manager. Because of this, they started seeing much better results. But, even with their first few campaigns, they tested multiple audiences to see which would perform the best. An audience with interests related to their blog topics, like frugal living, side hustles, etc. An audience of people who like other large pages in their niche. An audience of lookalike website traffic from their own blog. Not surprisingly, the warmer audience of lookalike website traffic ended up being the best performing audience. 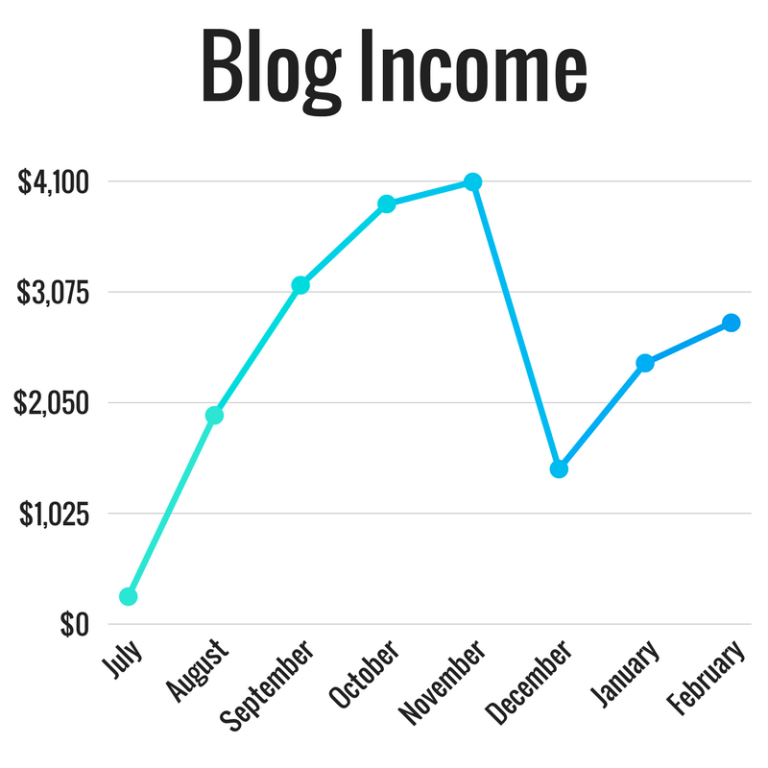 However, the biggest overall win for the couple has been learning how to use Facebook ads strategically for their blogging business. Kelan and Brittany used to believe that learning how to master Facebook ads was a concept only the elite could afford. Now, they know that it’s all about finding the right course to educate yourself, and they’re happy they found out about Flourish and gave it a chance. Ready to learn how you can increase traffic to your website from Facebook ads? 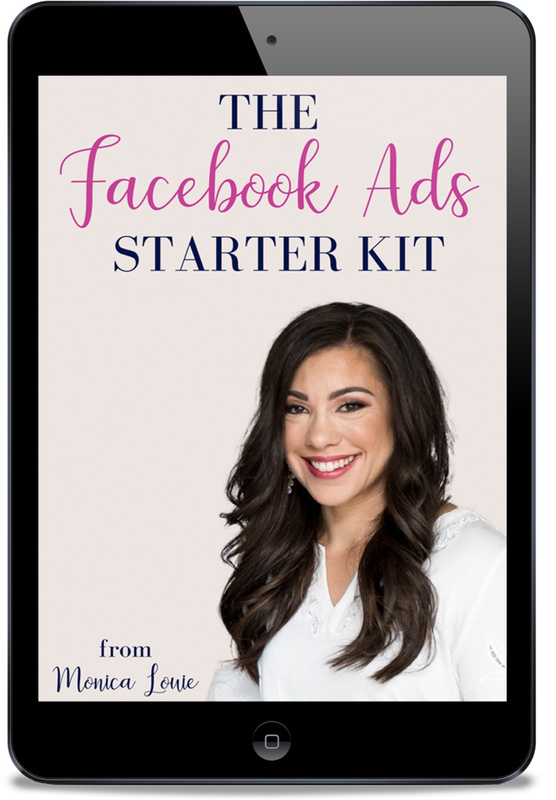 Flourish with Facebook Ads is my online training course to teach you my step-by-step system to create campaigns that convert!